The next iPhone, whatever it might be called, will feature an ‘overhauled’ look, including a screen larger than the current 3.5″, according to a report from Bloomberg’s Adam Satariano and Jun Yang. According to their sources, the redesigned phone was worked on ‘closely’ by Steve Jobs prior to his death last year. Apple has apparently already placed orders from suppliers in Asia for screens that are bigger than the current screen in the iPhone, which measures 3.5″. This device is said to feature a complete design change, the first since the iPhone 4. The report states that it is unclear if the new phone will be physically larger, or if the screen will just be enlarged, squeezing into the same body size. This news echoes two reports yesterday, from both the Wall Street Journal and Reuters, that the new iPhone will have a larger screen. The latter report specifically mentions that the new screens will measure “4 inches from corner to corner”. The new screens are said to begin production in June, in order to ship a new iPhone later this fall, likely in October. 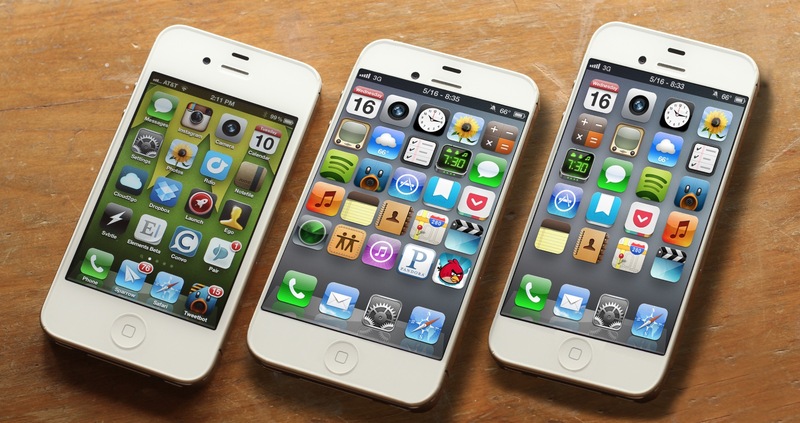 An iPhone with a larger screen has been rumored since at least February of 2011. Recently, iMore’s Rene Ritchie took a look at the possible iPhone configurations that would accomodate such a larger screen.